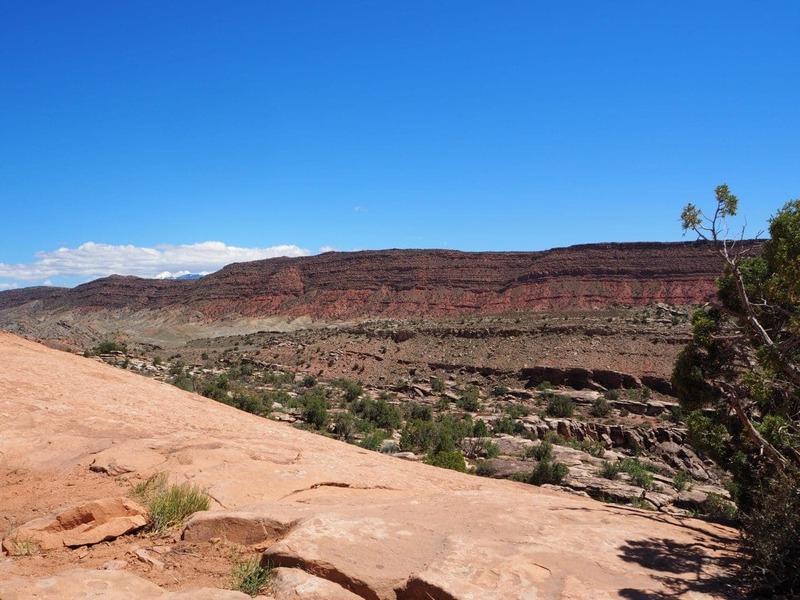 Moab and adventure go hand in hand. You’ve probably never seen anything like this town, I know I hadn’t. It’s an outdoor adventurists dreamland! 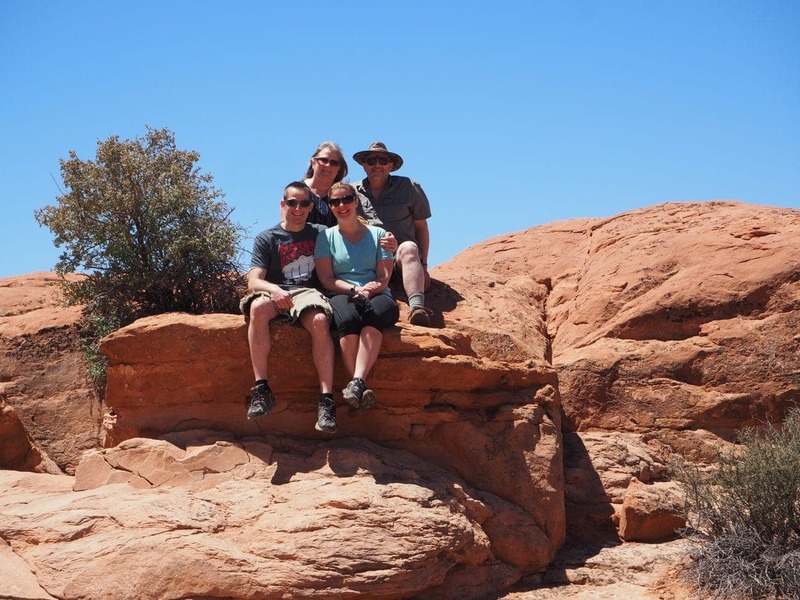 Camping, hiking, climbing, rafting, off-roading, mountain biking, and so much more! 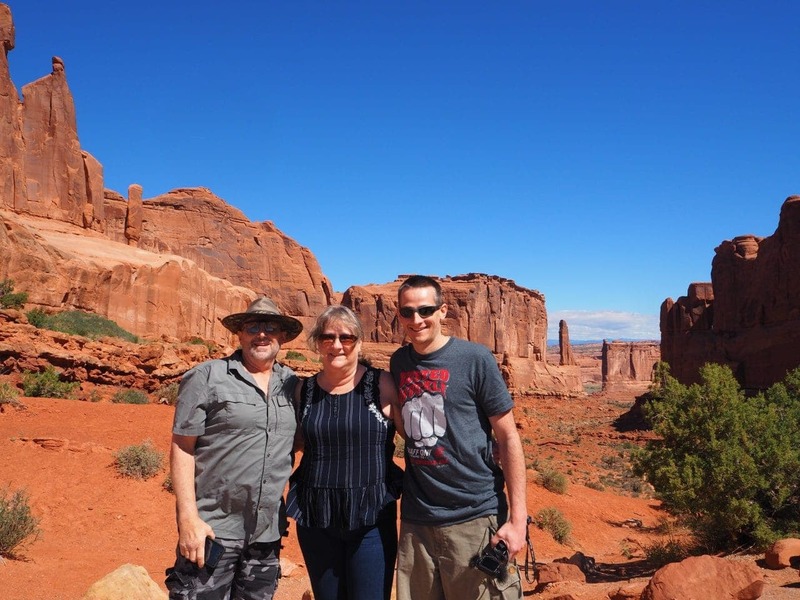 Keith and I visited with a friend in the Fall and were thrilled to explore more of the area with his parents. 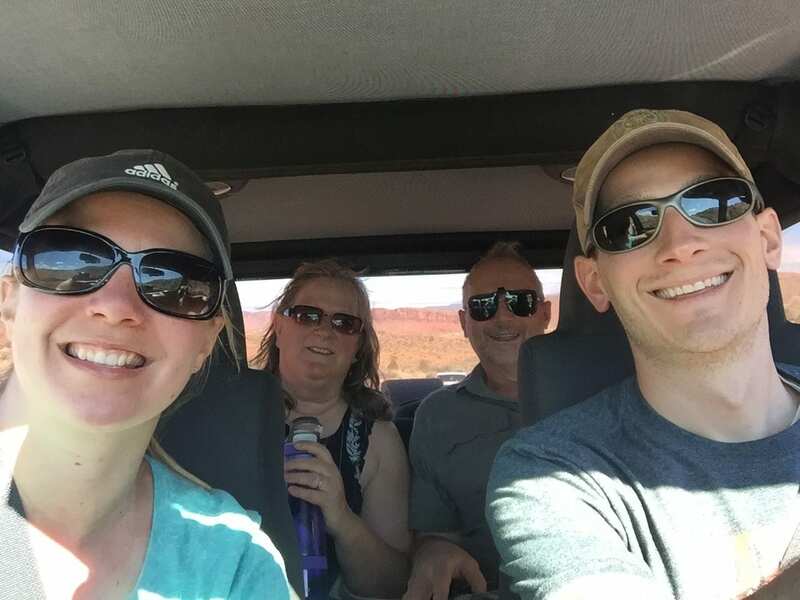 You will find Moab just 5 miles from Arches National Park and about 35 miles from Canyonlands National Park and Dead Horse Point State Park. 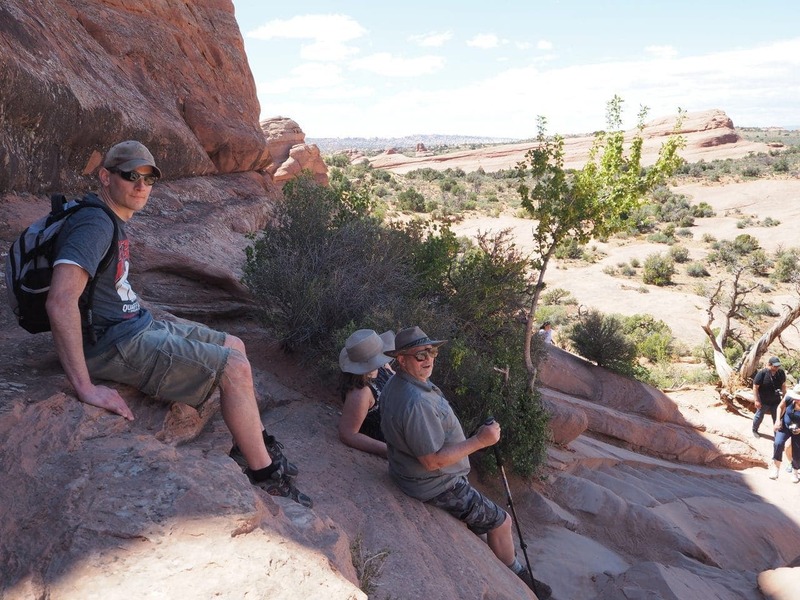 The adventure is endless in and around Moab. 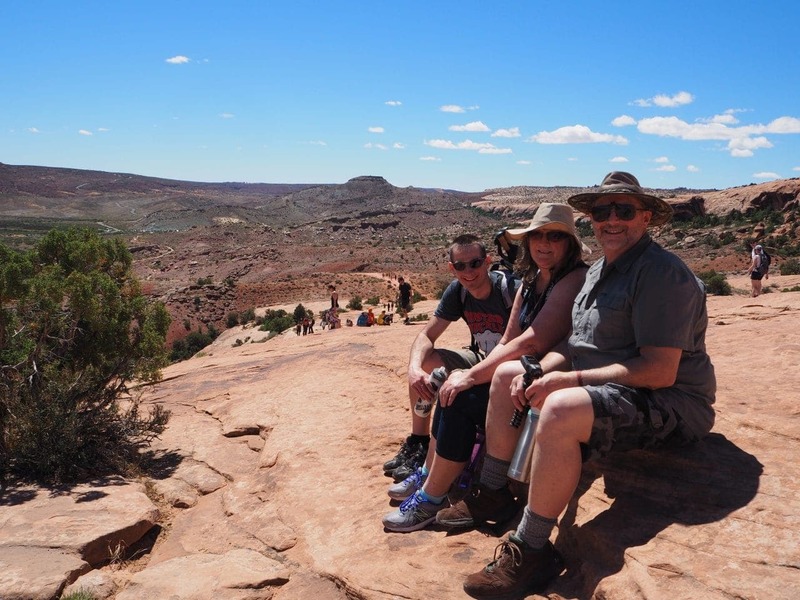 It is a must-do when in Utah! 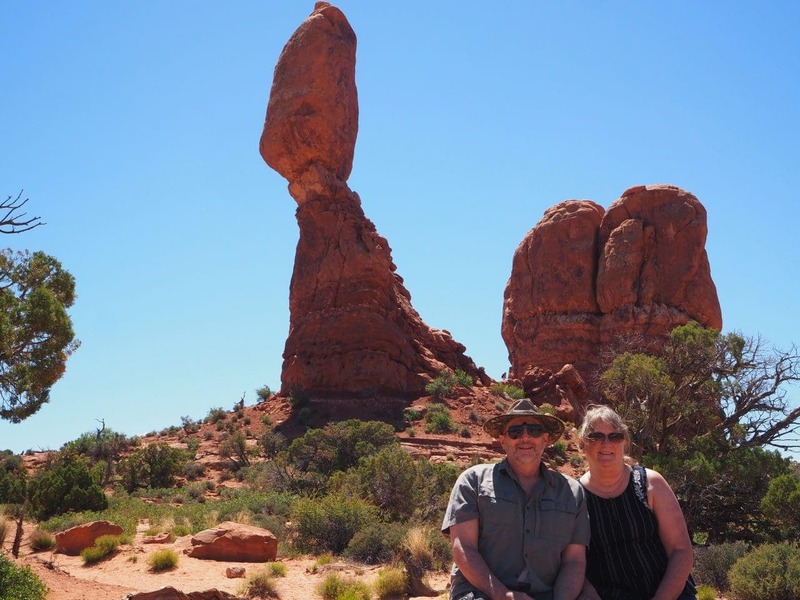 Keith’s parents had the choice of motorhome or hotel when we were planning their visit. 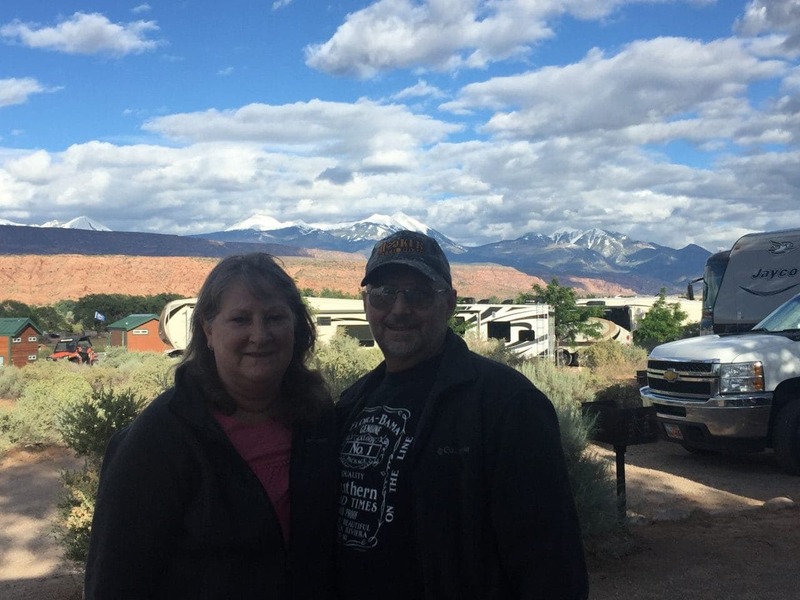 They chose motorhome so we booked at site at the Moab KOA. The campground is impressive. 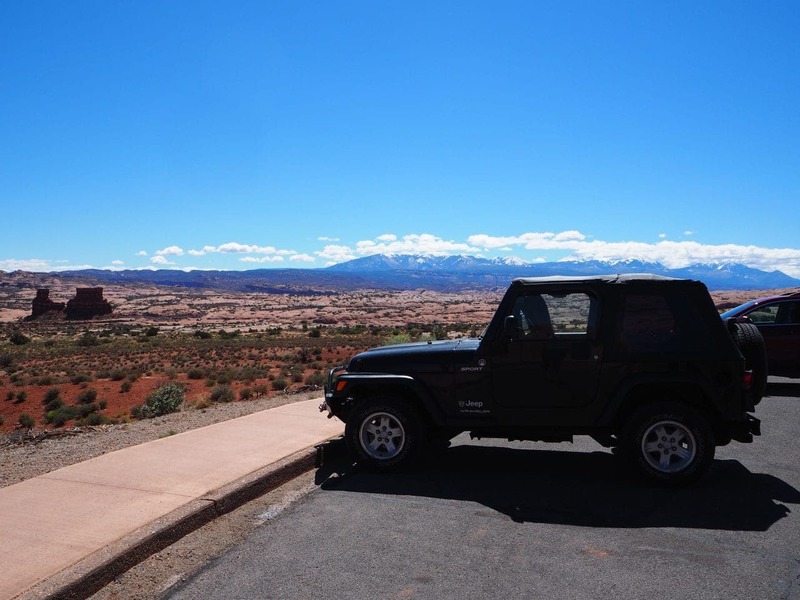 The bathrooms and showers are really clean, there is a small general store, swimming pool, and a great view of the La Sal Mountains. 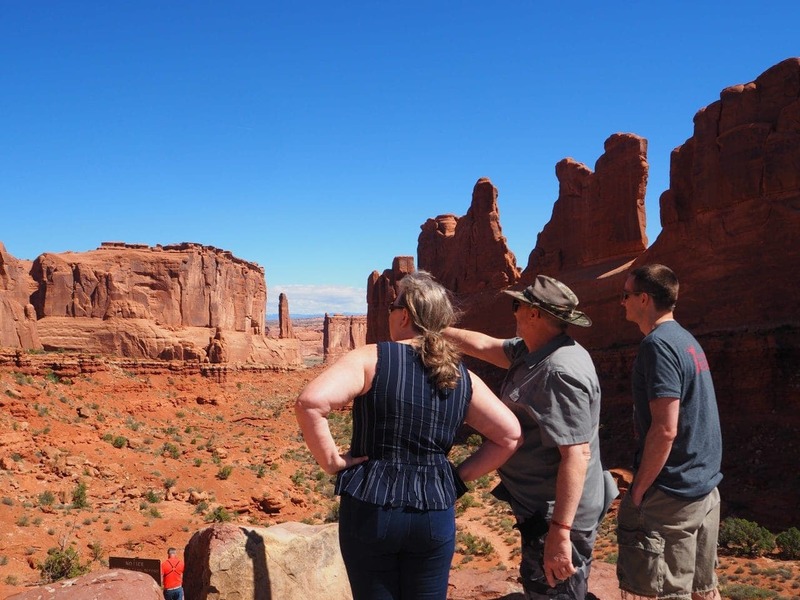 You will be in awe of the red rock, desert plants, spectacular formations, and the breathtaking scenery in Arches National Park. 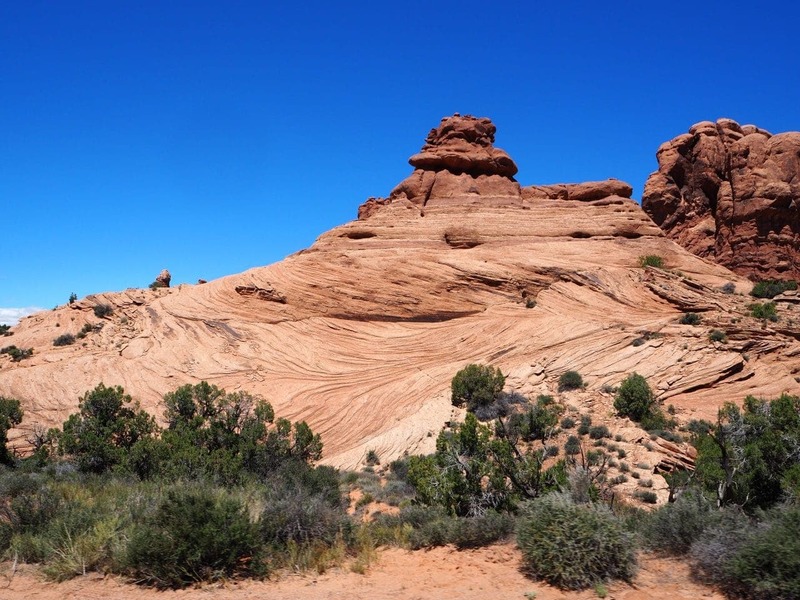 This park features the world’s largest concentration of natural sandstone arches. 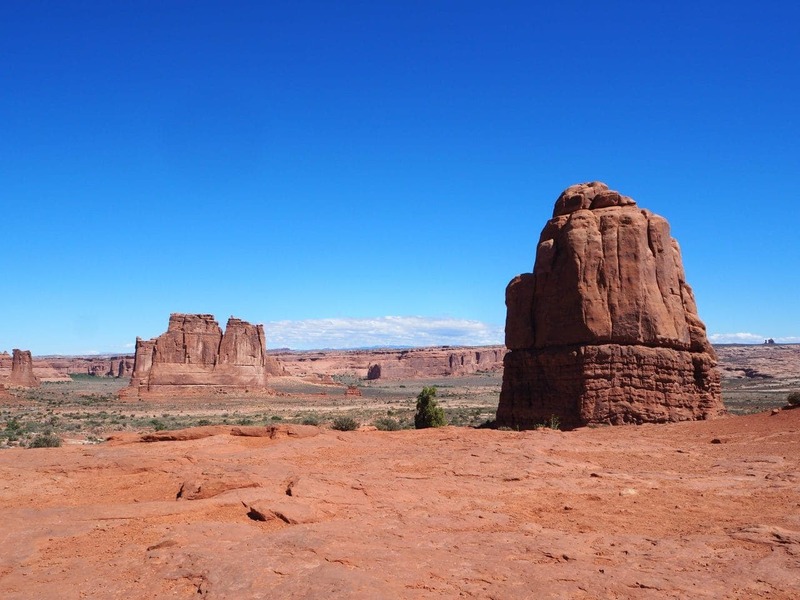 Most visitors start with the 36 mile round trip scenic drive that allows you to see most of the main attractions. This park caters to various skill levels. 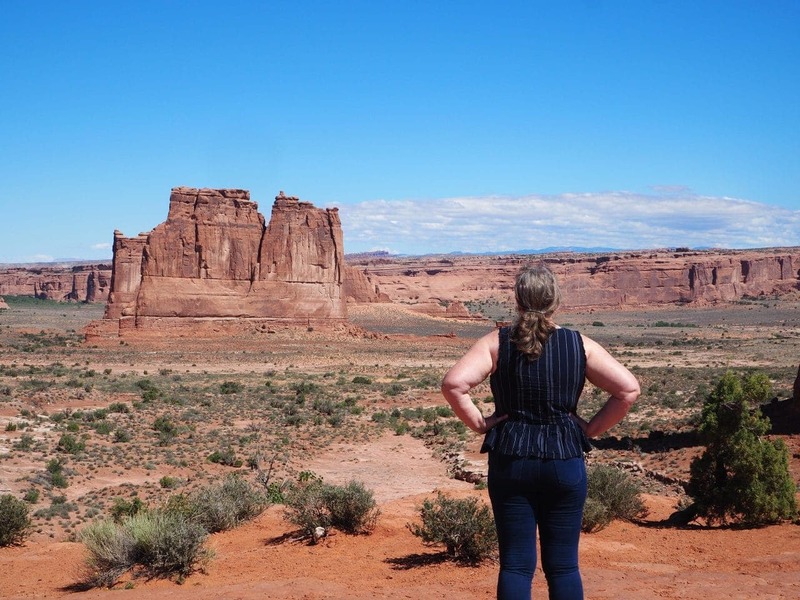 Most of the main viewpoints are only a short walk. Some are paved which is great for wheelchairs or those who have difficulty walking. 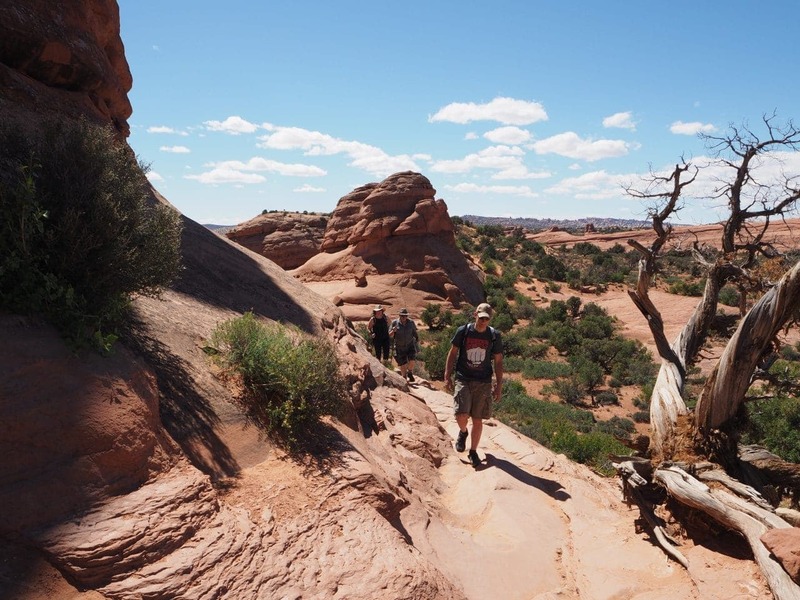 The park also offers a variety of hikes and tours. 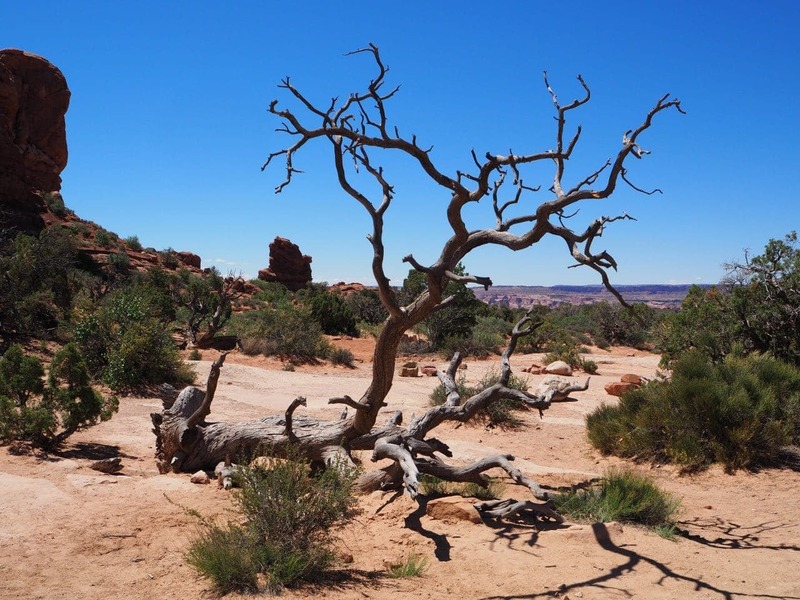 Check out this link to Discovermoab for more details. I think we’d all agree on two big highlights of the day. eating our packed lunch near Balanced Rock while watching rock climbers! 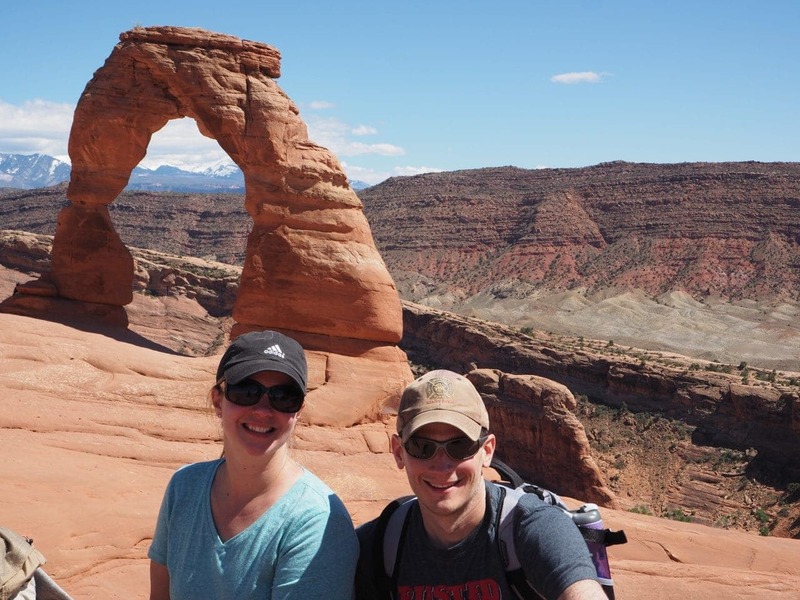 the satisfaction of hiking to Delicate Arch and enjoying the beauty of nature! 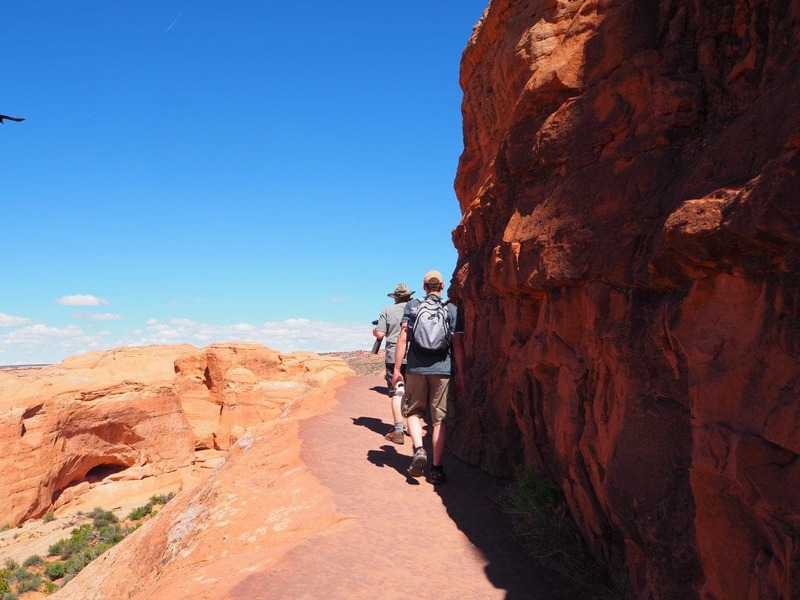 The Delicate Arch trail is a 3 mile out and back hike that ascends 600 feet. 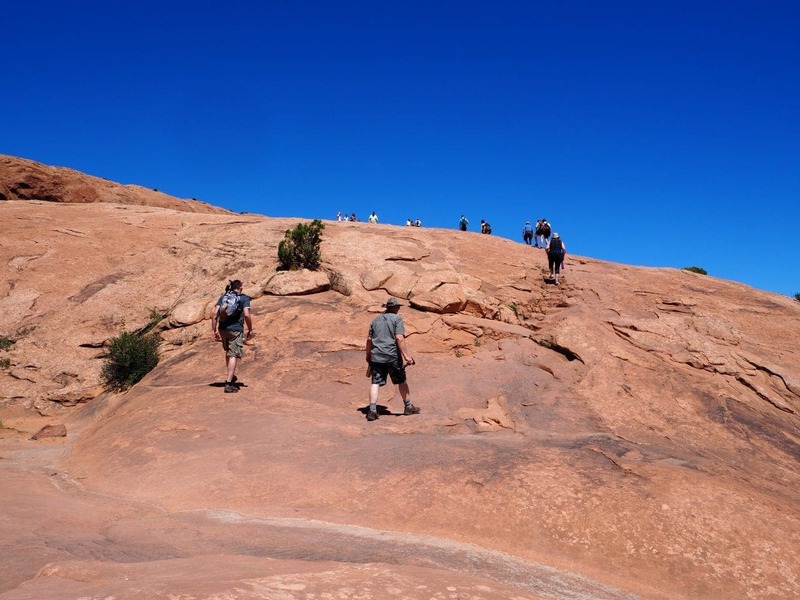 The hike is considered “difficult,” on reason is because it has no shade. Therefore, make sure you carry plenty of water and wear sunscreen. 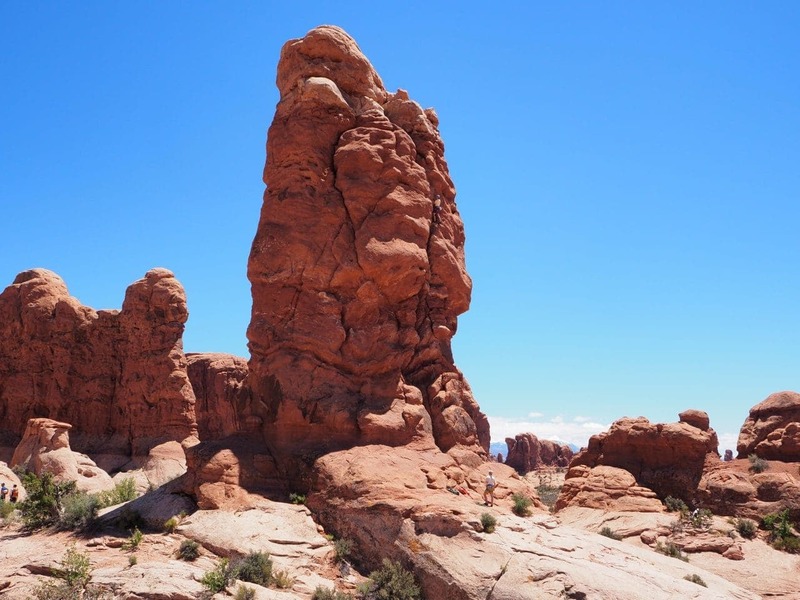 The view along the hike is spectacular and you’ll be amazed once you reach the arch. 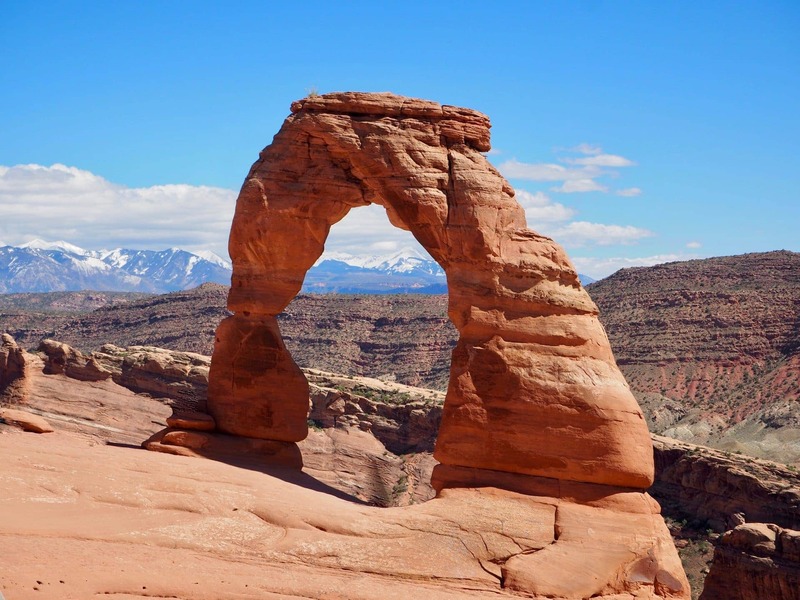 The arch is one of the icons for the state of Utah. 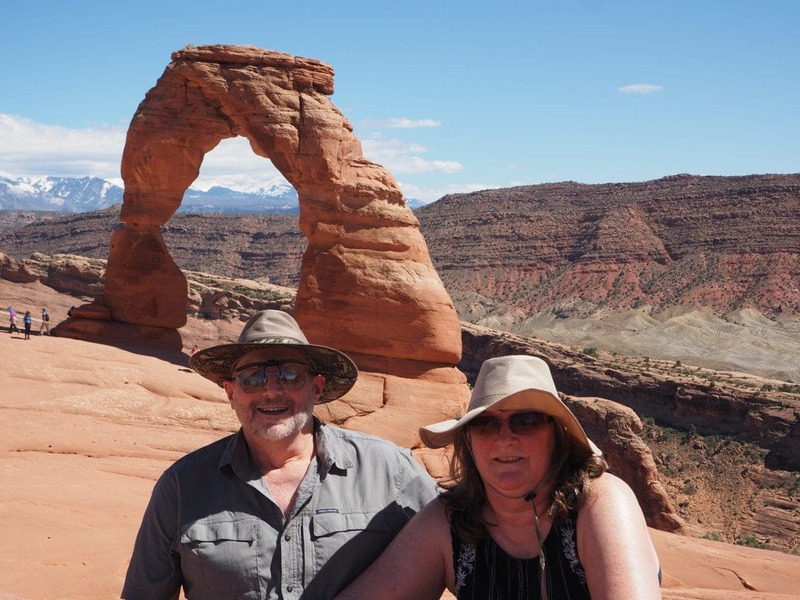 This is the arch that is on the Utah license plate and we’re seen in used in other adversiting around the state.